Every month since 1979, the highly recognized staff of Diablo Magazine produces context that provides their San Francisco, East Bay (Central Contra Costa, Oakland and Berkeley Hills and throughout the Tri-Valley area) demographic a personal insight on topics that range from travel, culture, style, entertainment and food. The latest issue of their Pleasanton/Livermore “City Book Series”, as well as their “Best in the East Bay” annual issue, I’ve had the pleasure to sit down with Caitlin McCulloch, Style Editor where we discussed my involvement with the Simon Style Setter program, my aesthetic featuring a vintage inspired style of the 1950’s and appreciating what our local East Bay market has to offer. Having achieved this timeless opportunity to have been involved with an award-winning publication can only be seen as a tremendous blessing. View the entire interview here. 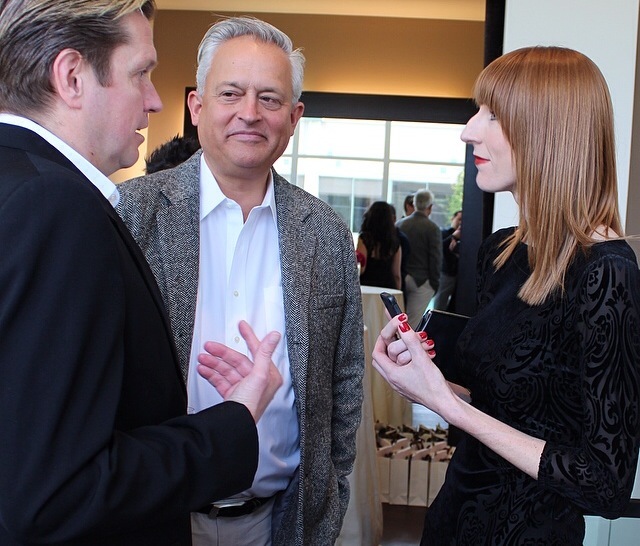 With the temperatures reaching the upper seventies, guests begin to arrive as acclaimed bridal dress designers Mark Badgley and James Mischka set foot on the red carpet of Walnut Creek’s Cypress Street for the La Soie Bridal flagship store opening. The areas newest bridal salon has a distinct presence; with large open windows which illuminate the crisp interior of the newly-designed salon resting within the heart of downtown. With an event that included partnerships with Stephanie Belleci Manna of Belleci Cosmetics, Diablo Magazine, Michael Anthony hair design, Jenny Scheider owner of Apres Soleil as well as Claremont Hotel, Spa and Club. Since 2005, La Soie Bridal has continued a positive growth, expanding from their Torrance location to five additional salons throughout California. A company founded by sisters, Cindy Sheu and Susan Po, which have made headlines with their impeccable quality of gowns and exclusive customer service. “We are excited to be expanding into Walnut Creek,” says Po. Setting standards for luxurious gowns utilizing the French word La Soie which translated means “silk” has proven to provide brides with an exceptional customary persona. 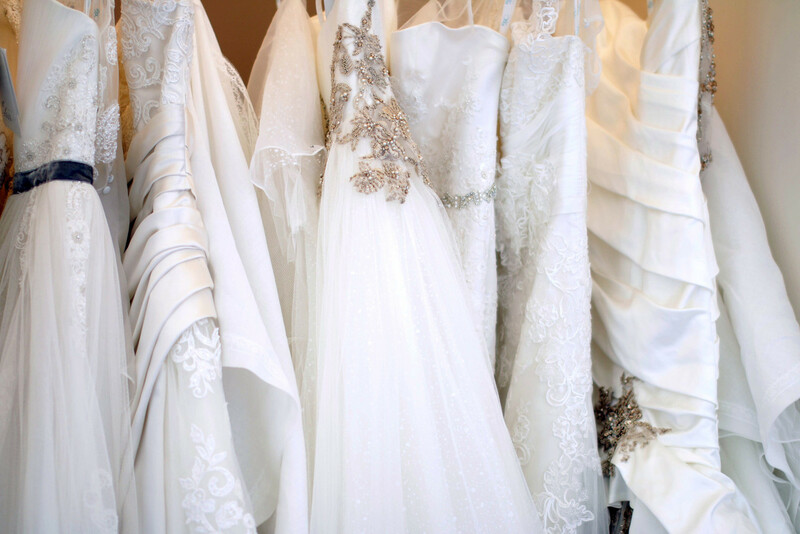 “At La Soie Bridal, we want every bride to feel welcome and enjoy their shopping experience. Our Goal is to offer the most beautiful wedding dresses so the bride can have the wedding of her dreams.” Po states. The afternoon’s Bridal grand opening highlighted by an exclusive guest appearance featuring designers Badgley and Mischka. This newest location brings the community along with perspective brides a glimpse into the vast world of bridal. With a prominent career within the fashion industry since 1988, Badgley and Mischka have defined their keen eye of sophisticated style catering to a demographic of the modern couture clientele. During a personal one-on-one interview arranged by Caitlin McCulloch, Style Editor of Diablo Magazine, I was given the opportunity to learn more on their mark within the fashion industry. “Our style harks back to the glamorous Hollywood of the forties,” says Mischka. Individually captivated of an era gone by, I naturally continued the interview by setting the red carpet aside enquiring on their signature style.With designs that are constructed from the finest fabrics along with superior craftsmanship, there has been an element of interest since their initial introduction during their senior studies at Parson School of design in New York. “Having the same taste level,” Mischka states as he continues, “we decided to combine our talents rather than compete with one another.” With their debut collection that has been described as a simple, streamlined and thoroughly elegant as they remain to stay true to a design philosophy of integrity. The expression on both James and Marks faces told a story of determination and importance of their history together as designers, along with their unique synergy for one another. Closing the interview on a sentimental note I asked, “Did you ever think you might be where you are today?” After a moment of silence Badgley humbly answered by stating, “We were certainly working very hard towards the goal, but no, you never take it for granted. The industry is like this,” Badgley extends his arms to represent space as he continues. “I think you’re constantly feeling like your climbing up hill, and then you realize that things are going real well and then you have the next obstacle”. *Much gratitude goes to Theresa Falduti, Store Manager of La Soie Walnut Creek and Karla Rivera, Regional Manager for their hospitality during their flagship store opening. For more photographs from inside this exclusive bridal event please visit Amanda and Adam Photography here.